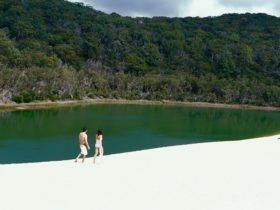 Kingfisher Bay Resort offers a variety of ranger-guided tours that depart daily, exploring Fraser Island’s diverse landscape. 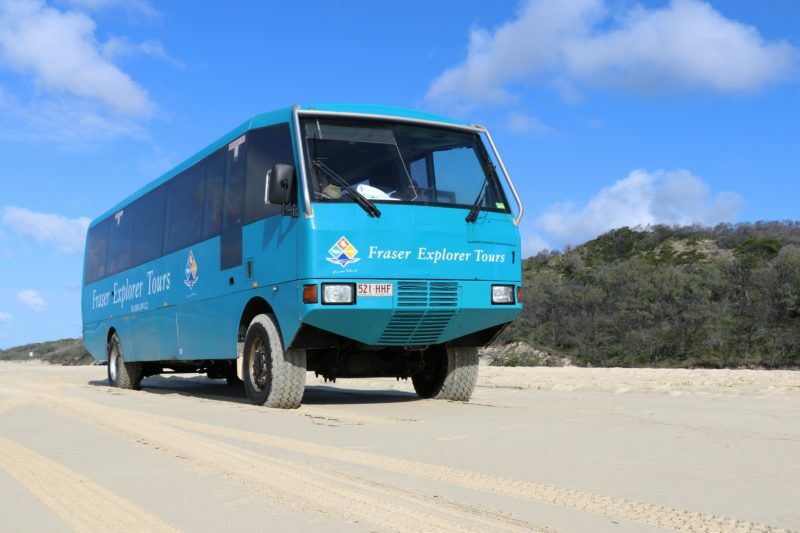 Suitable for travellers of all ages, it’s the perfect way to experience Fraser Island’s ‘Beauty Spots’. 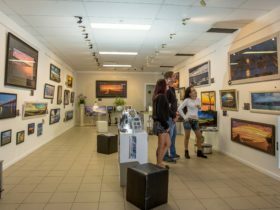 On this beautiful day out off-roading, you’ll meet like-minded travellers, visit the top natural attractions and cool off in watering holes – and all in the air-conditioned comfort of their custom-designed, four-wheel-drive coaches. 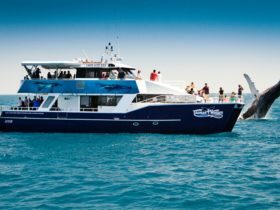 This tour is only available to Kingfisher Bay Resort guests and is guided by expert Kingfisher Bay Rangers. 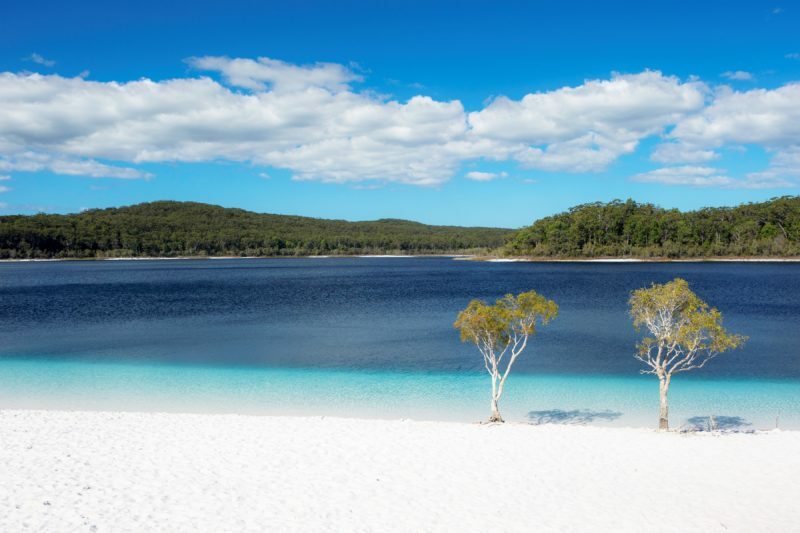 Swim in the crystal-clear waters of Lake McKenzie, follow the sand tracks to Central Station and walk through the rainforest along the banks of Wanggoolba Creek. Drive along 75 Mile Beach to the rustic ruins of the Maheno shipwreck and marvel at the Coloured Sands. Float along the gentle current of Eli Creek as it flows swiftly into the ocean, and enjoy a delicious hot buffet lunch at Eurong Beach Resort. 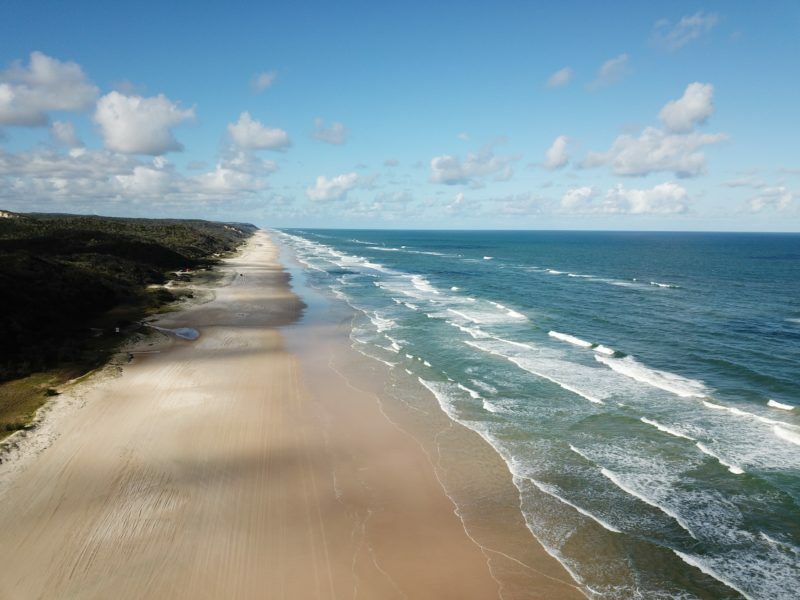 With approximately 1,200 kilometres of sand tracks on Fraser Island, there’s endless sights just waiting to be discovered, and World Heritage wilderness ready to be explored. 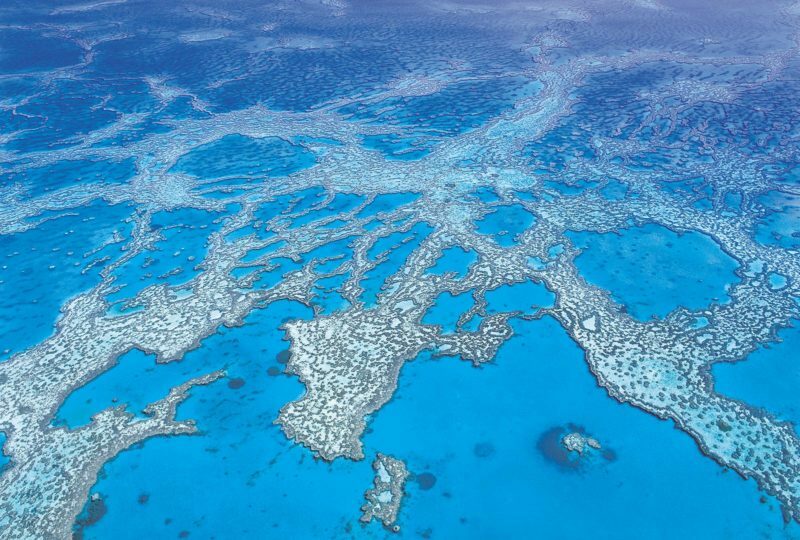 Weekday personalised tours cater for groups of up to four people, allowing you to head out on a 4WD adventure, as a ranger showcases the spectacular native surrounds. You can even order a delicious hamper and enjoy a picnic lunch immersed in island paradise. 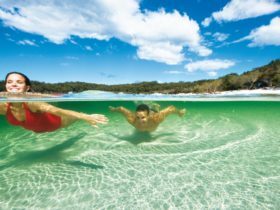 You don’t need a four-wheel-drive to spend quality time on Fraser Island. With a Day Away, you can literally laze the day away on Fraser’s sheltered western side. – Day use of the resort facilities including the swimming pools, self-guided walking trails and their tennis and volleyball courts. – Join a ranger-guided resort morning walk (check their What’s On Guide for times and activities). – A delicious deckside lunch overlooking their inviting swimming pools. 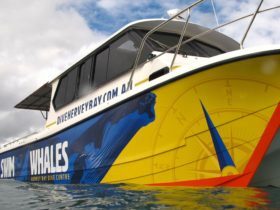 They can arrange to pick you up and drop you from your accommodation house in Hervey Bay for just AUD10 per person.